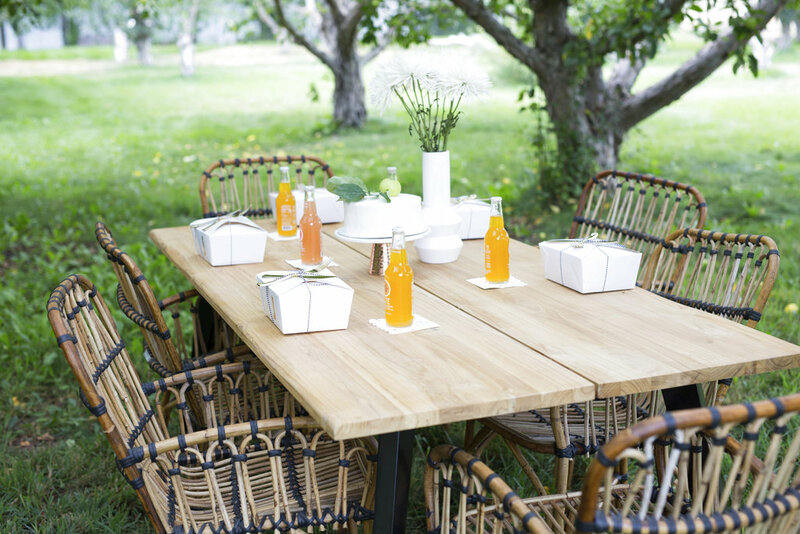 Hosting an outdoor party on the balcony or in the backyard has often involved a run to the big-box store for utilitarian paper goods and plastic plates, and setting the table with a mishmash of random bowls and tea lights. 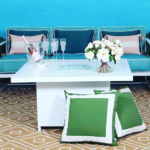 But this summer there’s a range of decor and serveware with the more sophisticated look and feel of indoor-quality goods — part of a growing trend toward blurring indoor/outdoor decor lines. 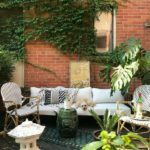 Article.com has a teak and powder-coated-steel dining table with midcentury modern/industrial style that could live indoors as well as out. The Bali pendant light looks like rattan, but is really hardy, woven synthetic fiber; a weatherproof rubber insulates the power cord. 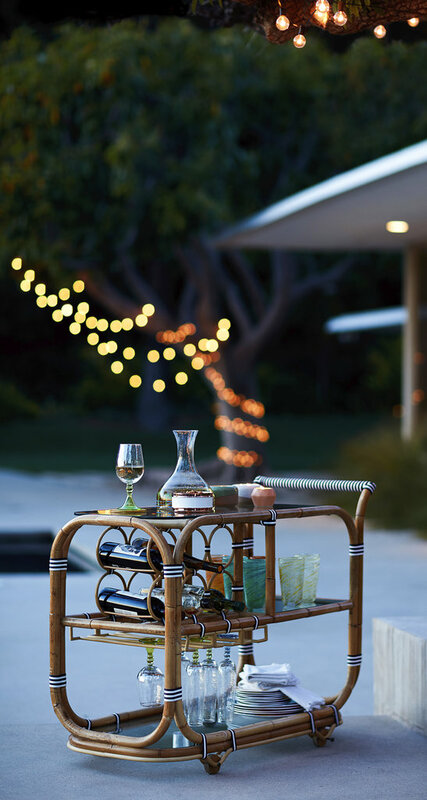 Anthropologie’s new outdoor collection includes a woven, natural, blue-and-white rattan bar cart, table and chairs that evoke a chic French outdoor café. 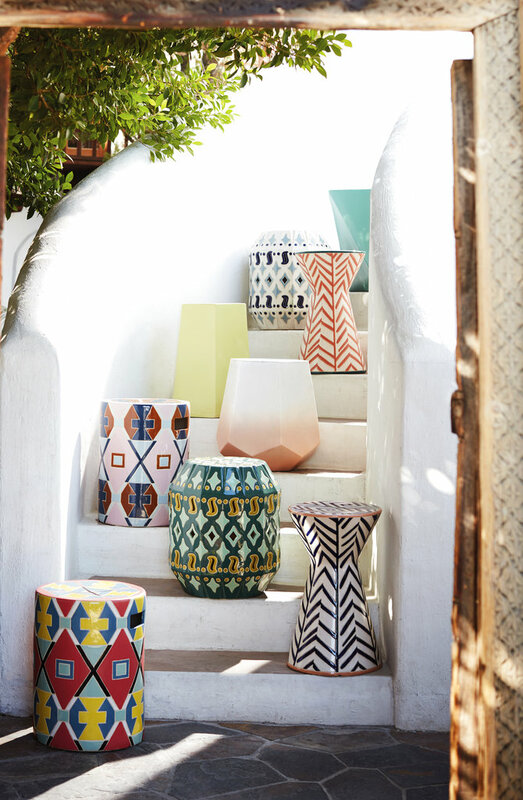 Here too, British designer Tracey Boyd’s Twill and Atlas ceramic side tables, with interesting geometric patterns. 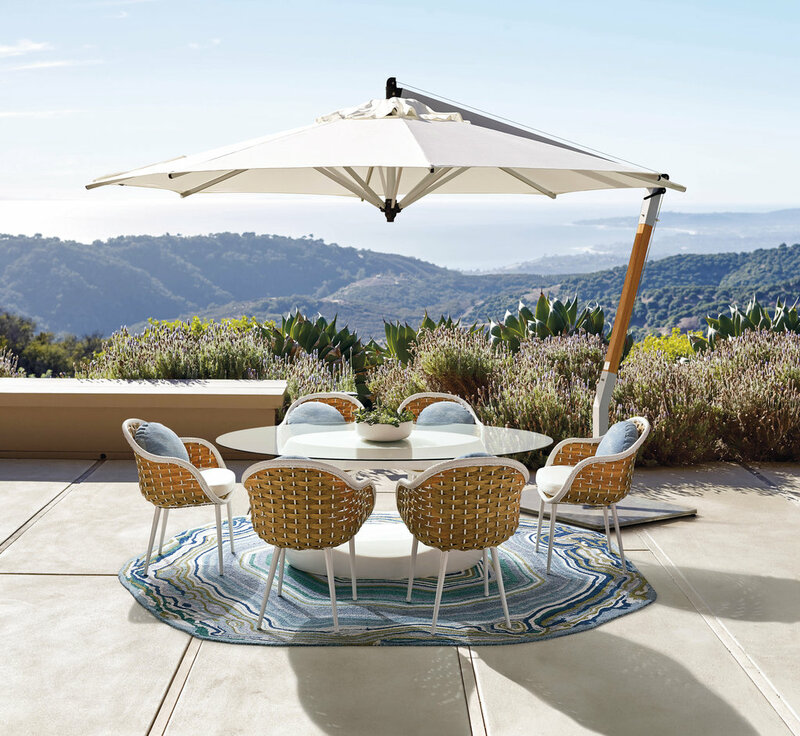 Digital printing and improved materials and manufacturing are giving us wonderful new indoor/outdoor rugs that are a far cry from the slippy, cheap-looking plastic mats of a few years back. Frontgate has the hip, geometric color-block Halia rug that’s colorfast and stain-resistant. Yet the hand-tufted, looped pile makes for a soft, plush feeling underfoot. Also here, a sea green and blue abstract design rug inspired by a slice of agate. 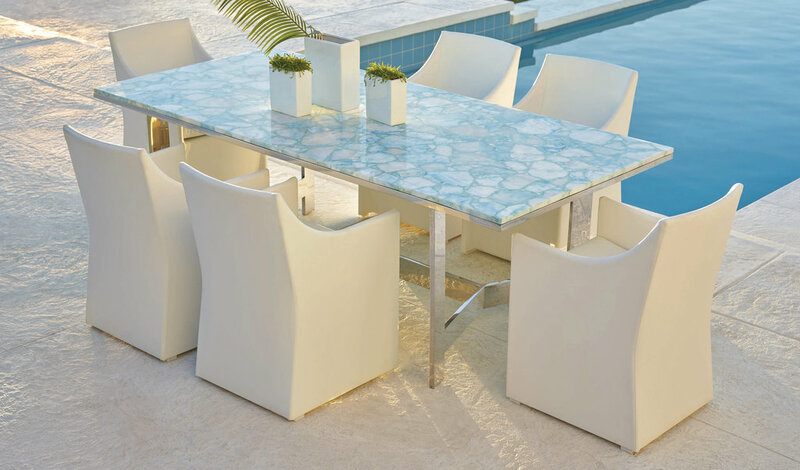 Extending the mineral theme: a Palm Springs-style dining table crafted of Brazilian blue quartz on a sleek steel base. 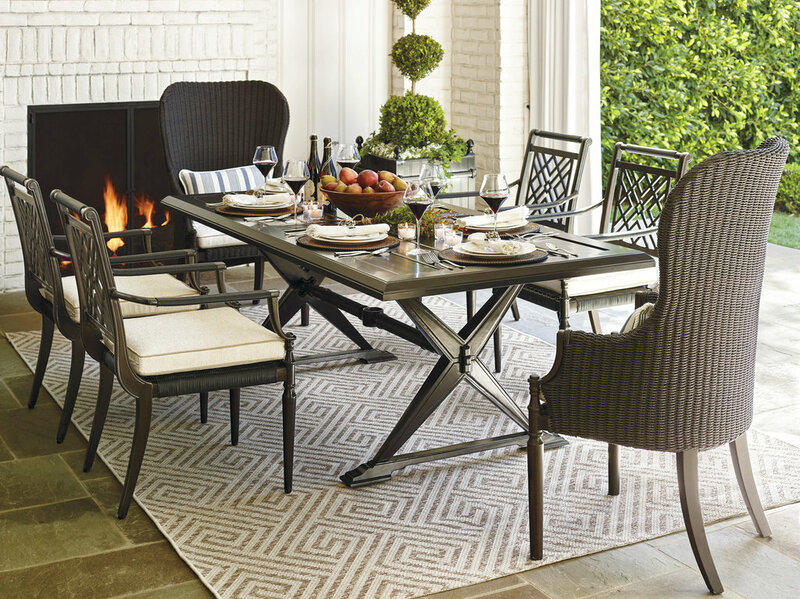 Or evoke the British West Indies with the Montserrat dining chair, inspired by traditional wing chairs but built of cast aluminum and outdoor-worthy woven materials and finishes. 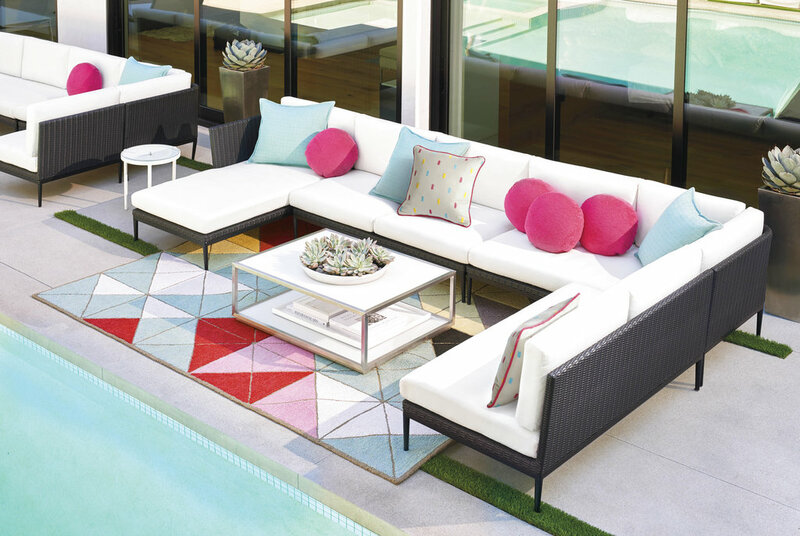 One of the biggest trends in outdoor decor, and a boon to al fresco home entertaining, is deep, comfortable seating. 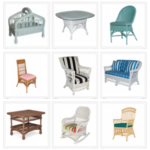 We’re seeing roomy sofas and chairs with all the style and finish chops of indoor furniture. 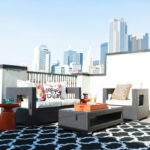 RH Modern has the Balmain collection, designed by Australian brothers Harrison and Nicholas Condos. Inspired by the lines of the Sydney Harbour Bridge, the modern, minimalist pieces include sofas, swivel chairs and ottomans, with either teak or aluminum frames, and can be custom-covered in hundreds of performance-grade fabrics. 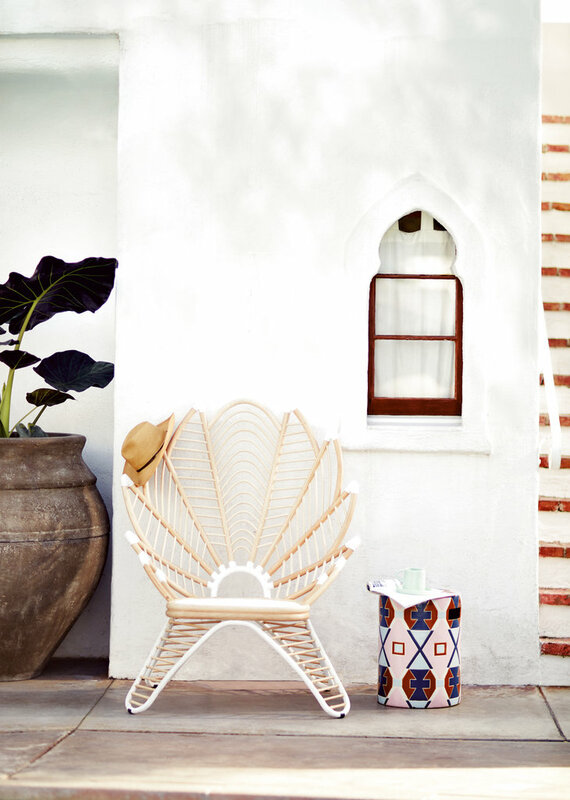 Another chic option at RH Modern: the Positano chair. Milan-based Toan Nguyen created a contemporary twist on basket-weave with an oversize, woven teak frame that makes a comfy lounger for an entertaining-oriented outdoor space. 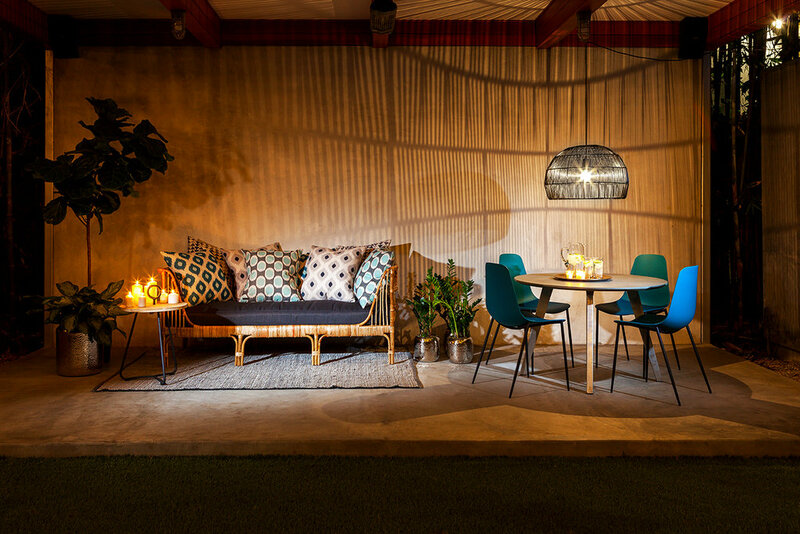 Anchoring the outdoor entertainment zone with furniture and a rug is important, but don’t forget lighting. Lamps Plus has a chandelier with a weathered-zinc finish and a trio of seeded-glass shades for a soft illumination. 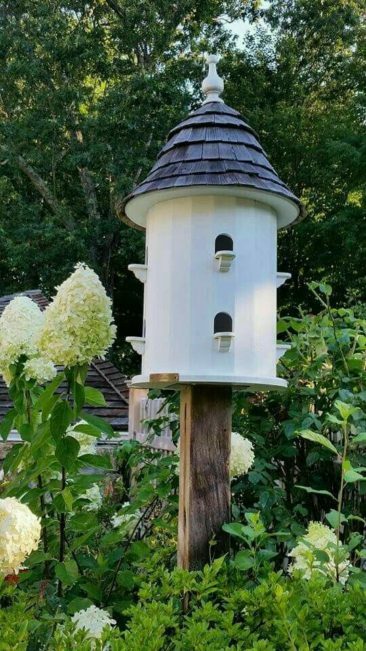 At Uttermost, find a collection of hand-carved slate and hammered copper indoor/outdoor table lamps by designer Carolyn Kinder of St. Petersburg, Florida. 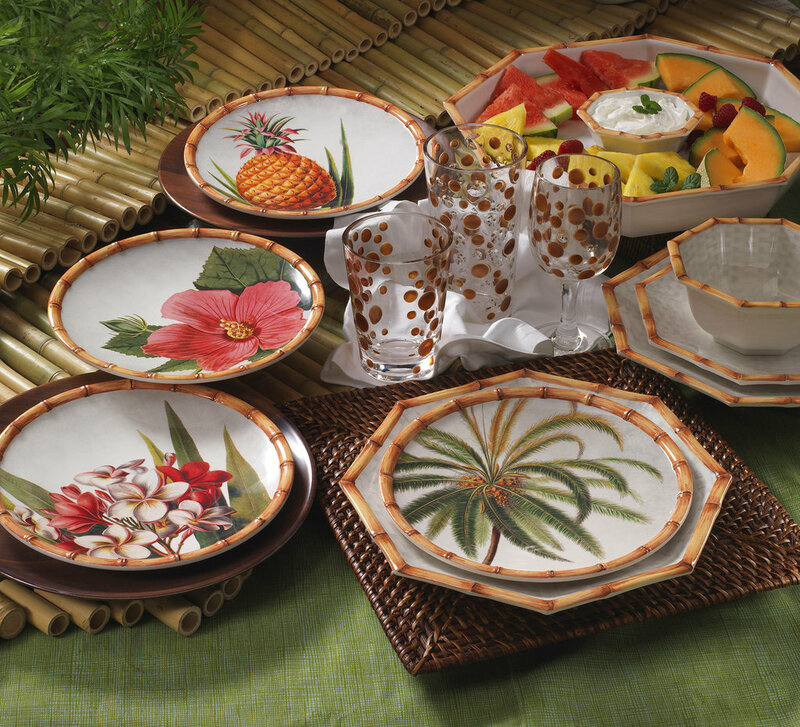 Tableware is another area where manufacturing advancements have led to higher quality outdoor products. 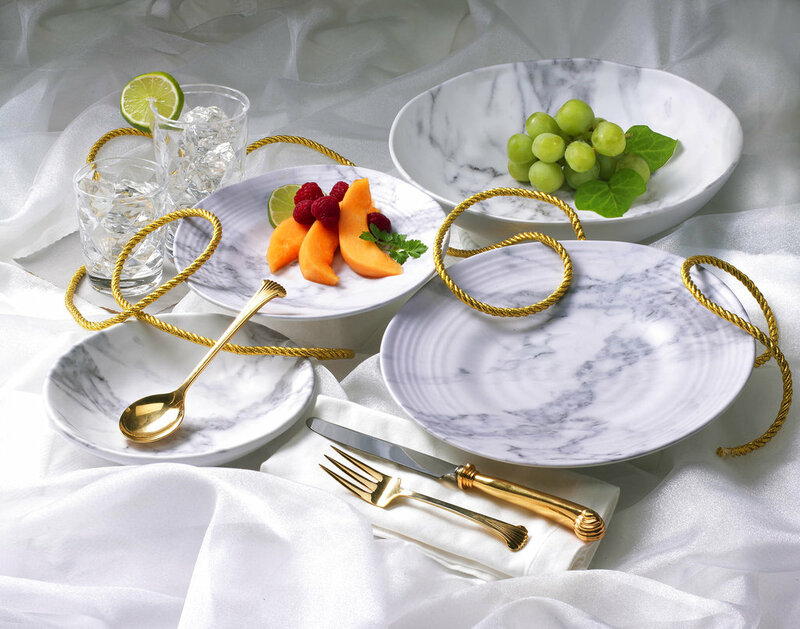 Los Angeles-based Merritt has a collection of marble-printed dinnerware that closely resembles the real thing, with heft and pattern depth we haven’t associated with melamine before. 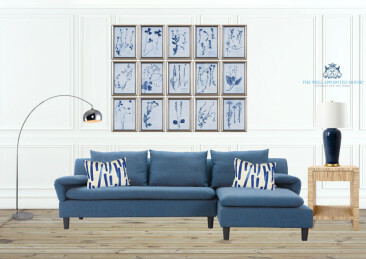 A botanical print edged with a bamboo motif has the look and feel of fine china. World Market has acrylic highball glasses that look like cut crystal, and there are elegant champagne and wine glasses here too.